At this time of the year many of our customers make space in their homes, and we can’t help but think they’re doing so because they’ve made it a New Year’s resolution to finally start decluttering. We’re sure there are many others out there with the same resolution, but haven’t yet got around to it. Let’s face it, New Year’s resolutions are notoriously difficult to keep up with, and most people fail. 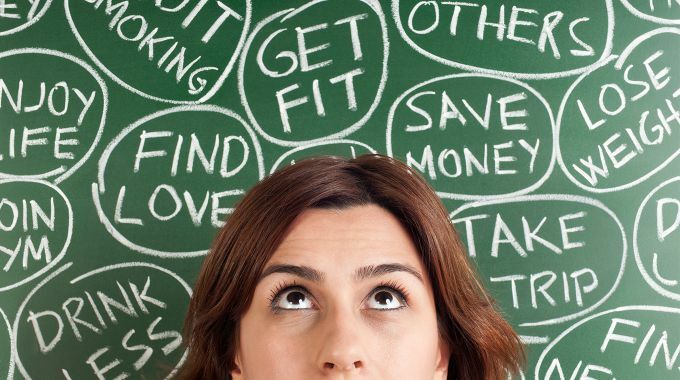 In fact, only 8% of people who made New Year’s resolutions managed to meet their goals, according to Statistic Brain. To help you out with your resolutions, we’ve put together 5 key tricks and used decluttering as an example of how you can apply them each day. In the book “7 Habits of Highly Effective People” by S. Covey, one of the habits states to “Begin with the End in Mind”. Picture and visualise the outcome you want in the end, even if it is months away or 5 years from today. This mental image will keep you stay on track and keep focused on what you want to achieve. When you come across stumbling blocks along the way, keep picturing (and feeling) how great it will be when you achieve what you set out to accomplish. For those who made it a resolution to declutter their home, keep imagining what it would be like to live in a home free from clutter – everything is where it should be, nothing is out of place, and you only have what you need, nothing more. The comfort and joy of this is simply invaluable. Now that you’ve got the final goal in your head, it is time to set targets to reach the goal. Though it is good to aim high, setting yourself outsized goals is doomed to fail. Difficult goals will put you off immediately, before you even have the courage to start working on it. Instead, break your goal down into small, realistic chunks which you can achieve in your desired time frame. It would be really difficult to tidy up a whole home in just a few hours. Instead, if you select one area to declutter at a time, say your bedroom, or the living room, it will be much easier to manage. And each time you declutter an area we’ll show up for free to collect your boxes from your home. Failing to plan is planning to fail. Having no plans is like running around the field in circles, not knowing where you should be heading towards and where your final destination is. Even if you want to do everything today, you only have 24 hours in a day. We recommend setting aside some time at the beginning of each week to plan out what you want to accomplish in that week, and organise your time accordingly. If having a clutter and dust-free home is on your list, regular cleaning is required. Weekdays are probably not the best time as you will probably be exhausted after coming home from work. Set up a regular routine on the weekend to do the tidying and decluttering. We recommend having some music playing in the background whilst you do so. Who says cleaning can’t be therapeutic and enjoyable? 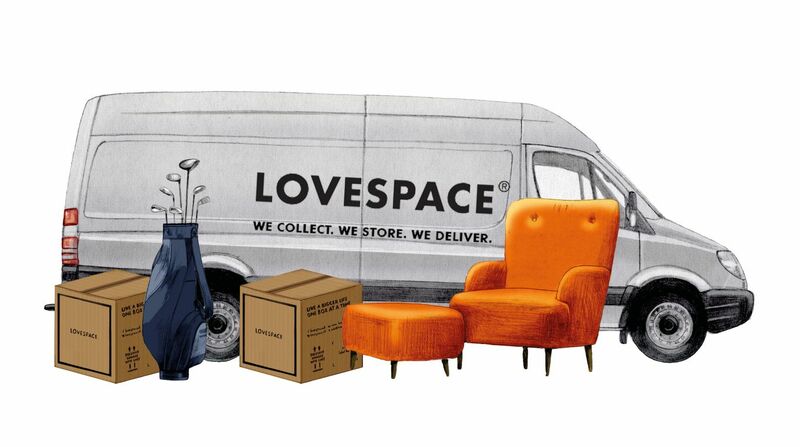 At the end of the day pack up the boxes you want stored and book some time for us to collect them from you. We can even collect in the evenings to help you with your schedule. Nobody wants to be that person who just constantly talks and delivers no results. Plus, it is easy to procrastinate and be distracted. There’s a way to change it – commit to your goals literally, and not just verbally. Set a specific deadline and write it down. Action is everything. When you have a deadline or a target to work towards, you will be more committed. Wanting to declutter your home is like wanting to run a marathon; everybody likes the idea of it but nobody really have the courage to commit to doing it. Commit to it – order a few boxes from us and get started. Once the boxes and packing materials arrive you’ll feel committed, and decluttering will gradually become much easier. This process is crucial and it is also difficult to do. Monitoring your progress will make you more aware of the results from your effort. Make this a routine and spend 5 minutes a day or a week, to note down what you’ve done, what you’ve observed and how you’re keeping up with it. When you feel tired, flip back to the very first page where you started and see how far you’ve come. And, don’t forget to reward yourself every now and then when you’ve accomplished small chunks of your goal. Recognising your own hard work and achievements is important to keep you going. Take a photo of your home before you decluttered, and compare what it looks like now. See how tidy and organised it is, doesn’t it feel better? Sure you may still have a bit more to do, but that’s why we’re here. Order a few more boxes and keep going, don’t lose momentum now. And remember if you want to see what you’ve put into storage our website is super easy to use and you can check your photo and box descriptions on your account. The above may seem obvious but don’t underestimate its effectiveness. When done right, these tricks are incredibly powerful. Take 5 minutes and note down your resolutions, starting with decluttering, of course, and you’re on your way! With less clutter, you have more space to live, to think, to work, and to focus on your other Resolutions.